Be immersed in the revolutionary Virtual Reality Experience with the Owl BOBOVR Z4. Be amazed with the HD graphics, and turn your smartphone into the most exciting and breathtaking Virtual Reality experience with the Owl BOBOVR Z4. Owl BOBOVR Z4 uses the best materials to ensure quality. Ultrathin shell and multi-stress distribution idea to make the Owl BOBOVR Z4 as light as possible. 120 ° Viewing Angle for a wide angle viewing. The Owl BOBOVR Z4 is compatible with most iPhone models and Android smartphones. Headphones are filled with memory sponge, which is effective for reducing stress against the ears. 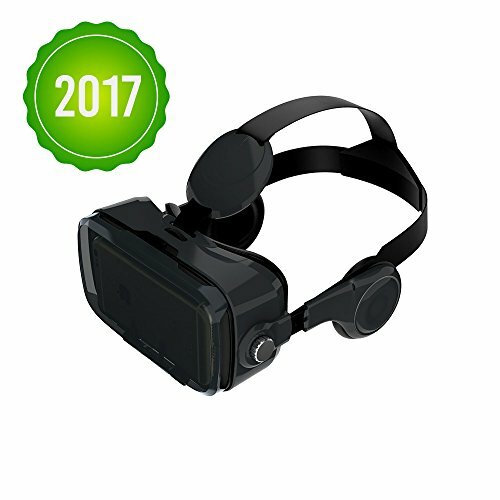 Buy now and be immersed in the revolutionary Virtual Reality Experience! GREAT VIEWING ANGLE | 120 ° Viewing Angle for a wide angle viewing. | DIOPTER ADJUSTMENT | Cater for the needs of 0°- 800° myopia and 0°- 400° hyperopia. Helps the lenses focus on the screen of the phone. PREMIUM MATERIALS | The Owl Z4 uses the best materials to ensure quality. | Uses imported PMMA materials from Japan, 35mm focal distance. | MULTI - LAYER DESIGN | Prevents extreme heating and fogging of the phone while in use. COMFORTABLE DESIGN | Ultrathin shell makes the Owl Z4 as light as possible. | FLEXIBLE HEADPHONE | Headphones are filled with memory sponge, which is effective for reducing the stress against the ears. BEST VIEWING EXPERIENCE | Experience the style and enjoyment of virtual reality. So get one now!